Good infographics should help people to better understand contents which are harder to understand by reading e.g. a text alone. So they should offer their conclusions clearly and less complex. A lot of infographics play hide and seek with the readers instead. 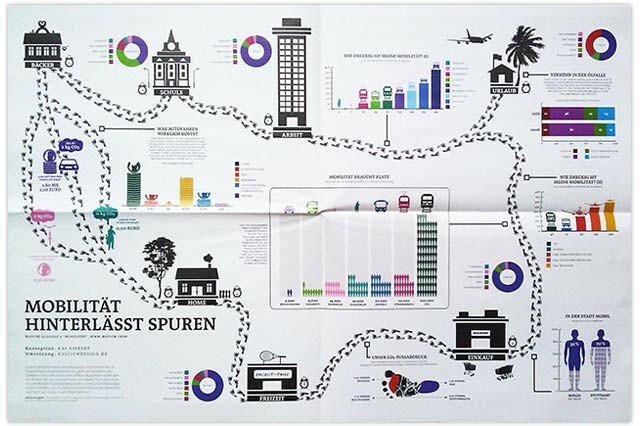 Here’s an example of such a graphic in the current issue of enorm Magazin which pretends to be an infographic but proves to be a picture puzzle in the end.